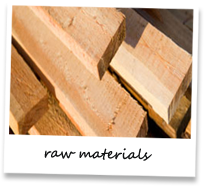 Raw materials are only purchased from suppliers who give assurances and evidence that timbers are from accredited renewable sources. Raw materials are all kiln dried and selected for their stability, performance and quality of finish. Kiln dried materials are a necessity in centrally heated properties to prevent excessive shrinkage and distortion. All our raw materials are carefully selected for similarity and grain patterns so that they all appear the same, this is particularly important when pre-finishing. Carolina Pine - stringers, mouldings, apron linings, landing nosings. Whitewood - treads, stringers (option). Redwood - handrails, newel posts, string cappings, balusters. 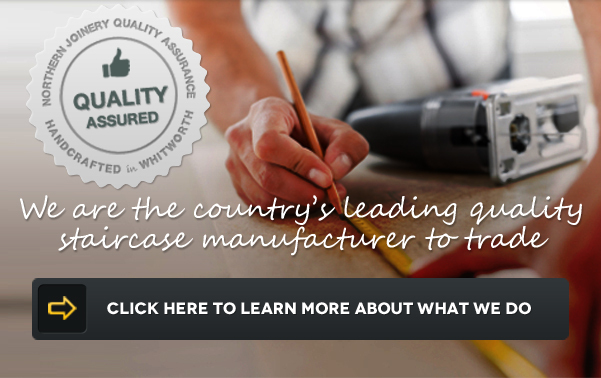 MDF - winder treads, veneered for deep apron linings and embellishments. Hardwoods - choice of species for special staircases, consideration of width and length constraints of boards.